Schacht’s boat shuttles are beautifully shaped and well balanced. They are made from maple, sanded smooth, and given a hand-rubbed Danish oil finish. 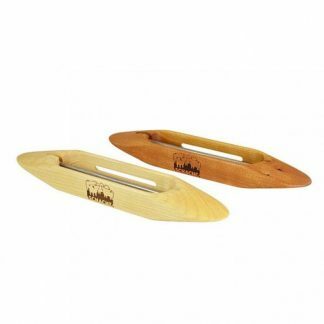 Double-bobbin boat shuttles are ideal for doubled weft threads – the two separate bobbin shafts make it possible to remove one bobbin at a time. 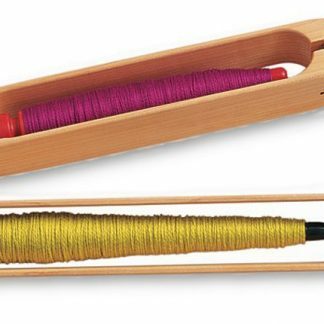 It’s dimensions are 15 1/2″ x 1-7/8″ x 1-1/4″ and uses 4″ bobbins. 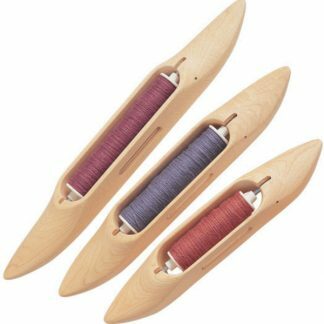 Its dimensions are 15 1/2″ x 1-7/8″ x 1-1/4″ and uses 4″ bobbins.